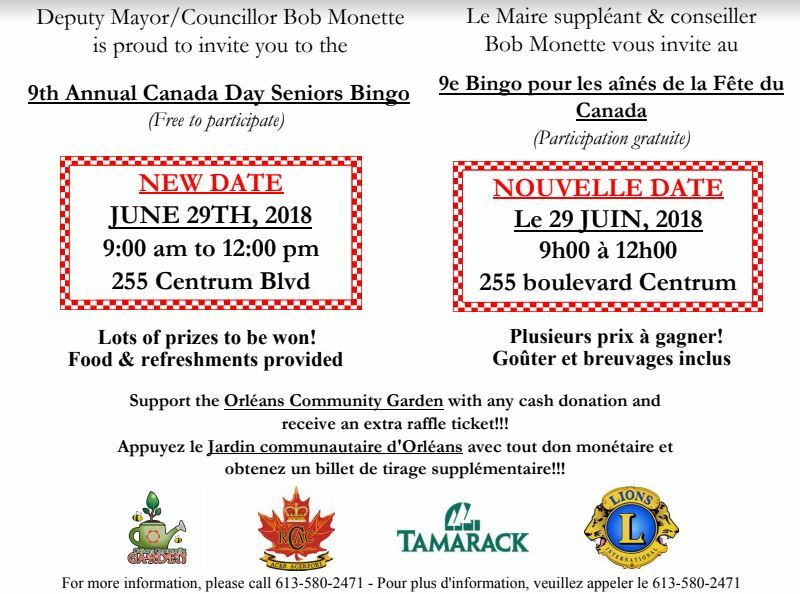 There is something for everyone happening this month in Orléans! Last year was amazing and this year promises to be bigger and better. Do you have some gently used items that you no longer need? Someone else may want them. Don’t put your unwanted stuff in the garbage. Set them out at the curb on Give Away Weekend. Tour your neighbourhood, community and city to find hidden treasures. Come learn more about your community association at our monthly board meeting. Buy your first home with Habitat for Humanity Greater Ottawa’s affordable mortgage plan! Stop renting and become a first-time homeowner in just two years with Habitat for Humanity Greater Ottawa (Habitat GO)! Habitat homeowners pay a 0% interest mortgage and can pay down their mortgage faster to build equity for their future. 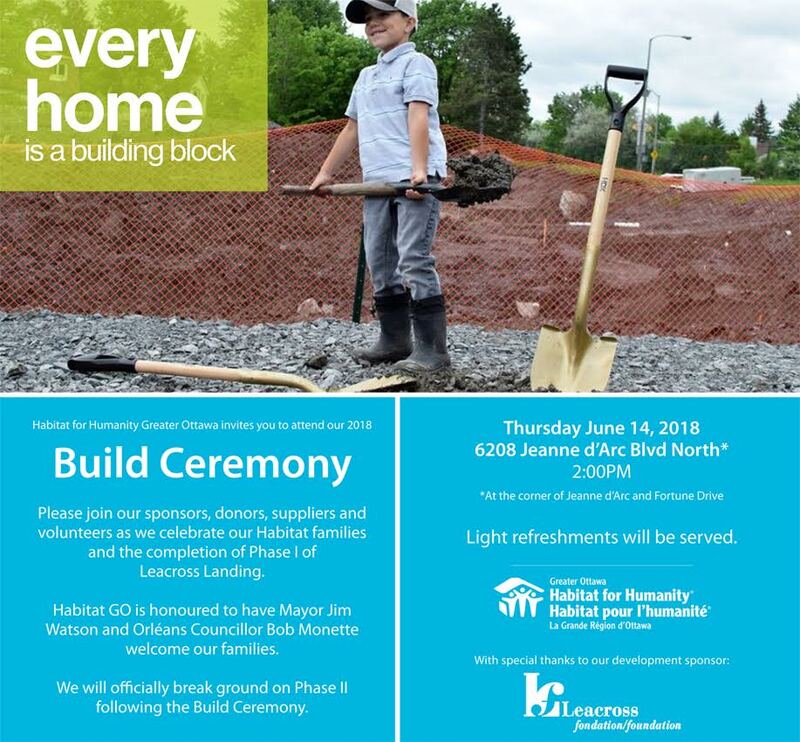 Be ready and able to contribute 500 volunteer hours (350 for single-parent families) to help build your own home and participate in other Habitat projects and community activities. Check out your future home! We are currently building in the Orléans area through 2019. Come to our Open House to view our townhomes and to speak to current Habitat GO families. Three days of fun and festivities! Be adventurous and kick off Carnival weekend at J’OUVERT ON THE BEACH. It’s all about water trucks, paint, powder, mud, sand, oil and most importantly FUN. On Saturday June 16th 2018, from noon to 10pm, thousands of Ottawa residents and guests from around the world will REACH THE BEACH for the highly anticipated annual celebration of Caribbean culture in the Nation’s Capital. Taking place on the beautiful Petrie Island in Orléans, this hidden gem nestled on the banks of the Ottawa River, boasts two of the nicest and largest beaches in the area. Interested in volunteering for #Carivibe2018? Email carivibefestivalottawa@gmail.com or call (613)850-3836 for more information. Canada Day at Petrie Island – Get involved!